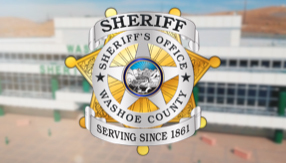 As part of ongoing statewide efforts to reduce easily avoidable crashes and tragedies on Nevada’s roadways, the Washoe County Sheriff’s Office is joining forces with other Nevada law enforcement agencies to heighten enforcement, and awareness, of the state’s distracted driving laws. FOCUS is one of the most important factors to arriving safely at your destination. It only takes an instant to turn a routine trip into a life-altering tragedy and distracted driving remains a serious issue when it comes to safety on our streets and highways. 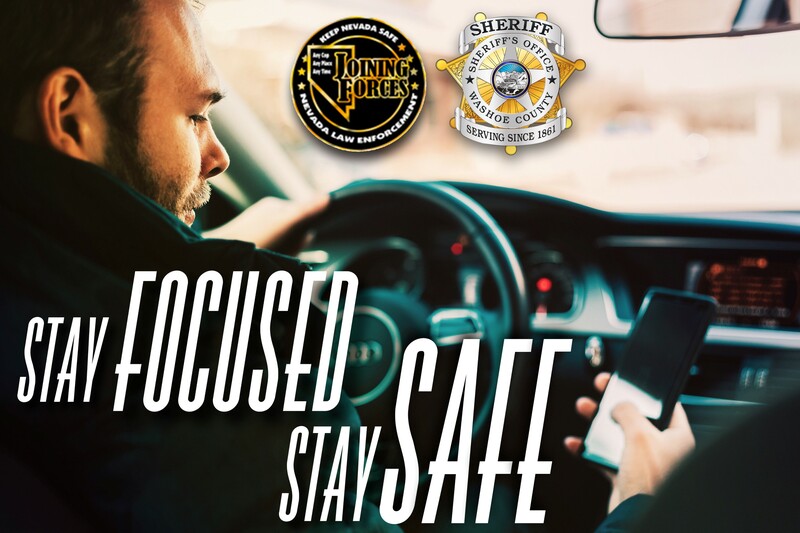 From April 12 through 22, 2019, the Sheriff’s Office, along with the Reno Police Department, Sparks Police Department, and Nevada Highway Patrol, will dedicate extra officers specifically to look for distracted drivers. Funding for these extra patrols is made possible by a Joining Forces grant received from the Nevada Department of Public Safety/Office of Traffic Safety. Joining Forces is a multi-jurisdictional law enforcement program aimed at reducing injuries and crashes through statewide enforcement in the areas of: DUI, speed, distracted driving, seat belt and pedestrian safety. The goal of these enforcement campaigns is to save lives by increasing public awareness about the dangers of making poor choices while driving.